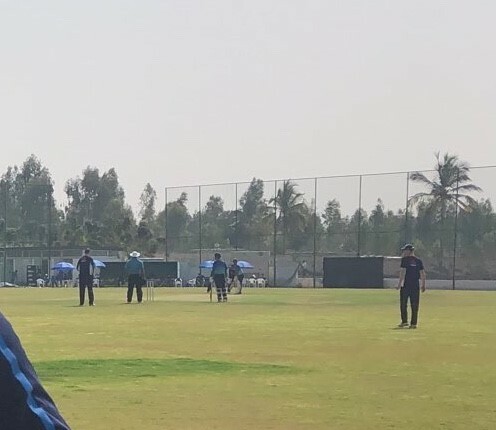 Luke Hollman – is with the England U19s squad of 18 in Bangalore for a 20 day training camp led by Jonathan Lewis. The allrounder is currently playing in a 3 day match and will be flying back to London for Christmas. He should hear soon if he has been selected for the England U19 squad (of 15) to tour Bangladesh in the New Year. This will involve taking on the hosts in all three formats of the game. Fingers crossed that Luke is in that. Joe Cracknell – is playing for Suburbs New Lynn CC in the Auckland Premier League, where he is keeping wicket and batting in the top order. This is James Parslow’s Club and also where our previous overseas, Mitchell Murray is still scoring big runs. Just shows how playing for the Midd can open opportunities for young players to experience life on the other side of the World! The cover photo is of Joe, Pars, Nick Brand and Mitch. 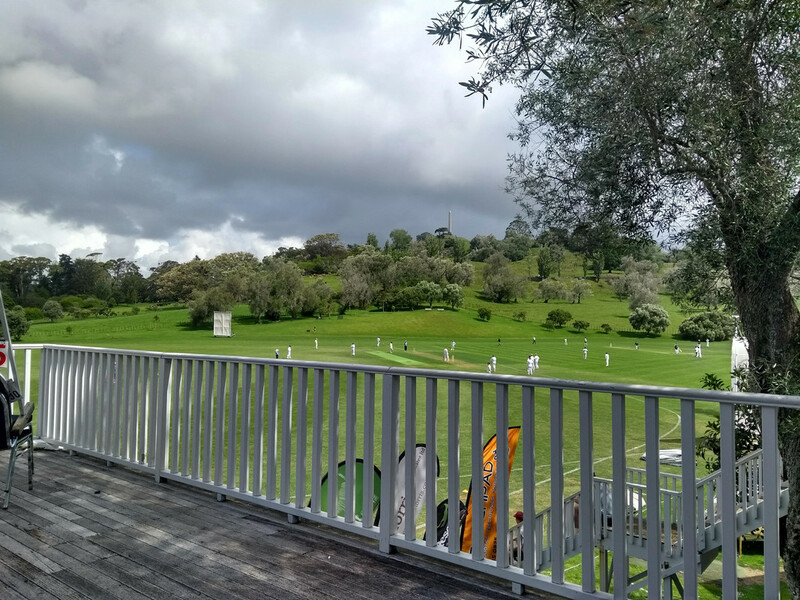 Hugh Teesdale - is also playing in Auckland but for a different Club called Parnell CC – here is a photo of their Ground. Hugh is also doing some coaching and like Joe has a part time job. 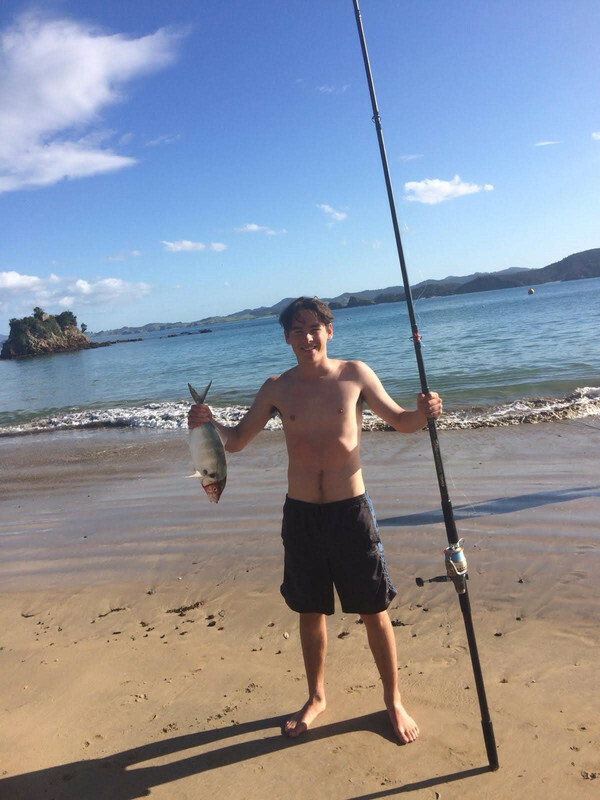 Over Christmas and New Years, Hugh has plans to travel around with Joe including visiting the Northern Bass festival – music - nothing to do with fishing although gather the Lads may be visiting Lake Taupo on their travels. “ A good school – I think we can all agree – needs cricket. 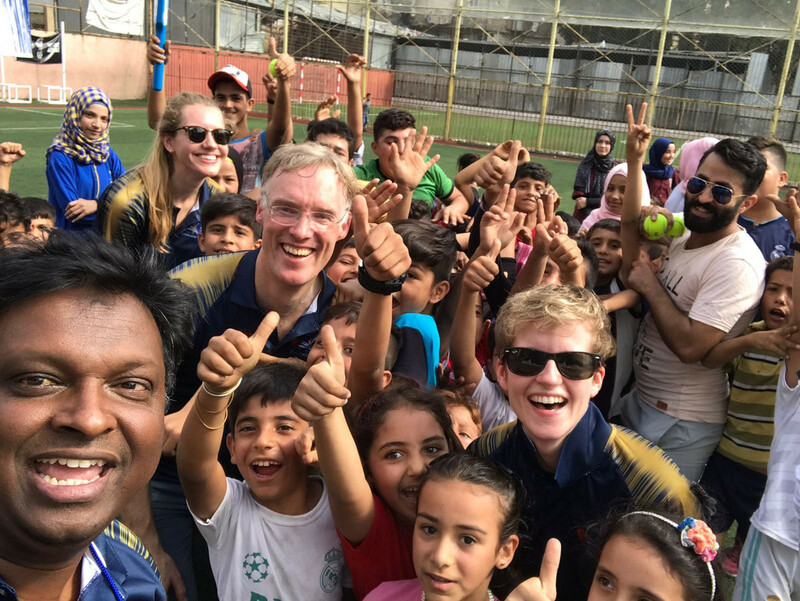 With the help of Capital Kids Cricket, I organized a week of coaching for our school in the Shatila camp. On the first day 40 odd children turned up. But news travels fast in Shatila. On day two there were queues outside the playground. 120 children had decided that cricket was cool. I must admit that I disgraced myself somewhat. Put me on a cricket pitch – even if it’s with a group of children who have never played before – and my competitive side comes to the fore. I display my cover-drives in front of a wondering audience. I demonstrate my body-line bouncer to an unfortunate 12-year-old (thankfully with a tennis ball). You will not be surprised that by the end of the week I was yearning for more. Perhaps more surprising so were the children. Great work Reechard and a happy Christmas to one and all!